Members will be pleased to hear that the posthumous publication of a glossary of terms, written by Victor Chinnery is now available for order. The book will be published in October 2016 and is an A4 hardback, 324 pages and containing 53 illustrations. The approach taken in the book is both original and creative. It places emphasis on the integrated relationship between furniture and the many artefacts found within the early British home. In the book, Victor looks, not only at furniture, but also interior decoration, metalwork, pottery, wood types and the use of colour in interiors. Glossary entries – giving a detailed description of the objects – are backed up by inventory references and other documentary evidence, which aim to explain how the objects would have been used, in a period setting. It will be an invaluable work of reference for historians, museum curators, dealers and collectors alike. The book is edited and contains a foreword by Jan Chinnery. The book retails at £35, plus UK postage of £4 and is available at through all good booksellers (ISBN 9780957599284). The latest edition of the Regional Furniture Society Newsletter (Autumn 2014) has been published and is being sent to existing members this week. Two editions of the Newsletter and a copy of the Journal are free to members each year. A list of past articles and contributors is available here. 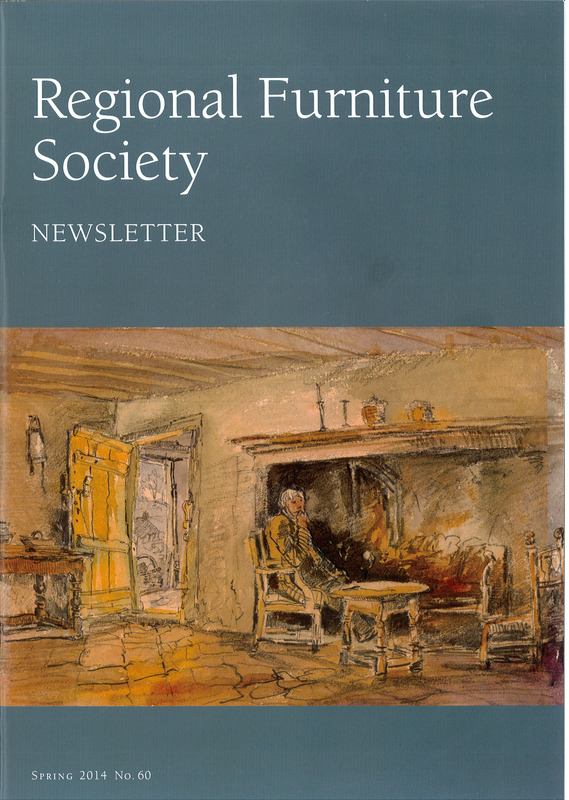 Join the Regional Furniture Society here and receive your copy of the latest newsletter and Journal. Spring 2014 Newsletter – out now! 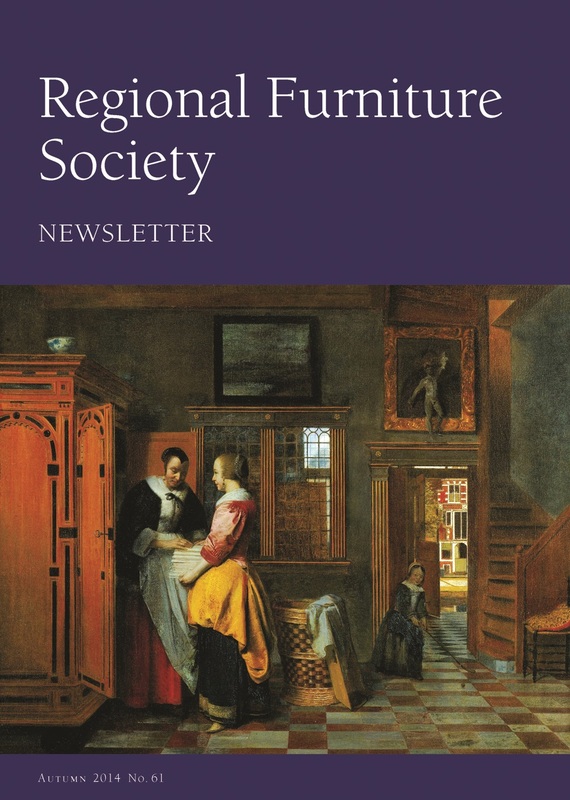 The latest beautiful edition of the Regional Furniture Society Newsletter (Spring 2014) has been published and is being sent to existing members this week. As well as a full listing of this year’s forthcoming activities, it contains a number of fascinating illustrated articles looking at Emily Gimson’s Rocking Chair, A Deal Furniture Tradition in Kent and Sir Robert Walpole’s Electioneering Chair. There are also reports on recent RFS events and visits.